Emergency safety showers and eye/face wash equipment provide the first line of defense against potential workplace hazards like a chemical splash, metal shavings, or fine particulates like dust, dirt and sand. 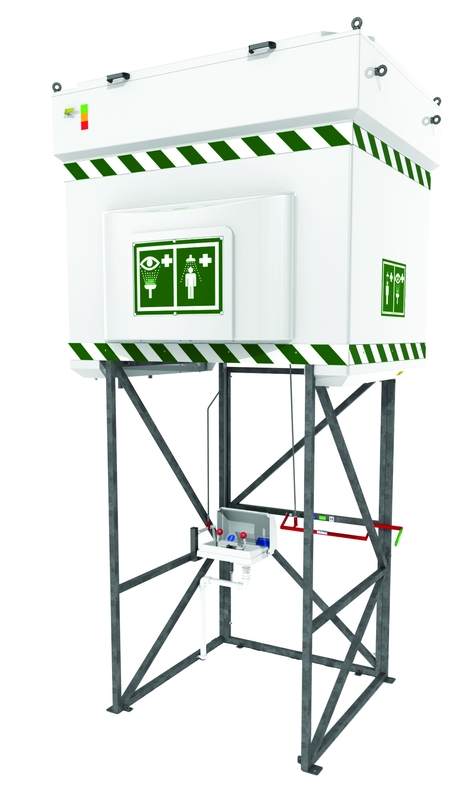 While installing safety showers and eye/facewash equipment is a relatively small part of any new build or site refurbishment project, it is vitally important - in fact, billion dollar projects have been halted or delayed simply because suitable safety showers were not provided in the right place at the right time. Fortunately, the Hughes Safety Shower Line from Justrite Engineered Solutions can provide you with safety pre-sales consultants to help ensure projects are completed smoothly and on schedule. With more than 45 years of experience in meeting deadlines and design standards, we offer expertise, advice and technical support throughout all stages of your project, to empower you to make the best decisions for achieving your company's safety goals.